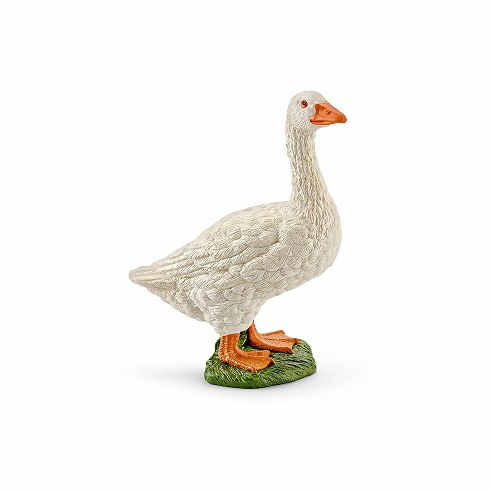 Domestic geese are extremely sociable, intelligent animals with a good memory. They can remember encounters with people and animals for a long time � even after we have forgotten all about them. If a stranger enters the farmyard, the geese can tell immediately. Of course, they don't bark, but they can honk loudly to attract attention and can peck quite hard with their beak. Unlike dogs, they can't be "bribed" with food. That's why some farmers prefer to keep geese instead of a guard dog. Part of the Farm Life Series by Schleich. Measures approximately 2 inches long by 2.6 inches tall.